Similar to Red Kuri and Golden Nugget. 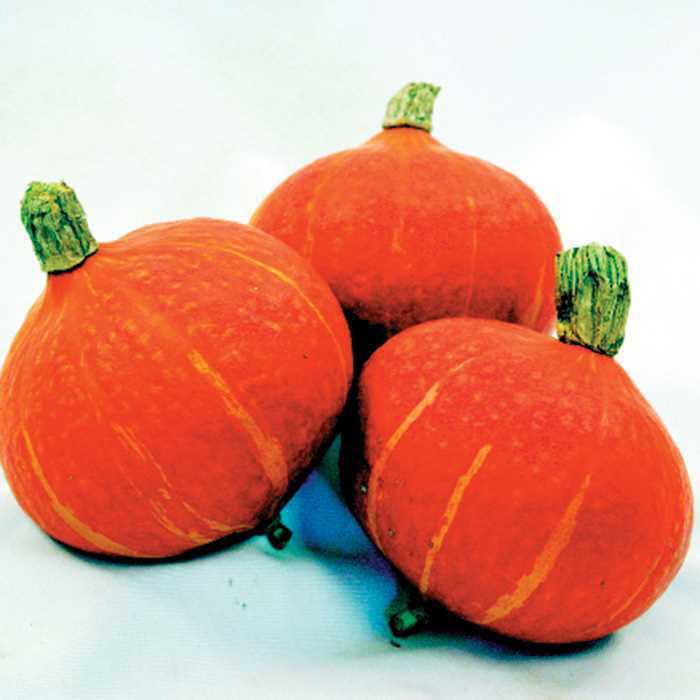 Sometimes called Red Kabocha. 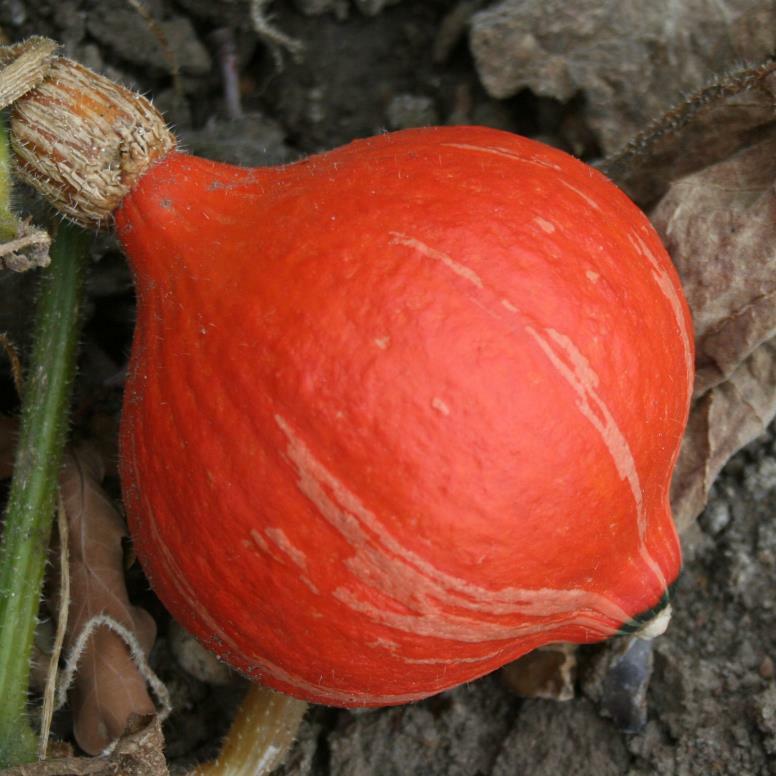 An F1 hybrid in the turban family, relative of the buttercup squash. It has an orange shell with tan blotches, with a white cap and slightly-indented tan ribs. Inside, they have finely-textured orange flesh, which is sweet and dense, and not watery. 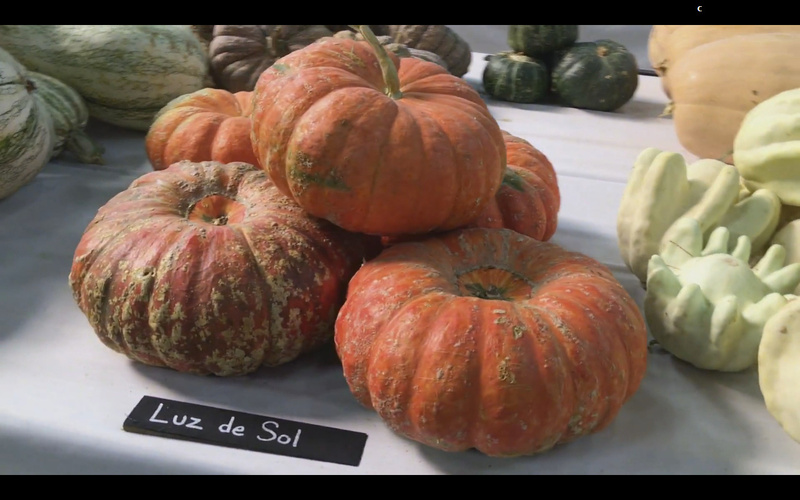 The texture and flavor is similar to that of acorn squash and kabocha squash. Vibrant orange skin, 3-4 lb/1-2 kg fruit are flat/globe shaped and �cupless�, Very sweet bright orange flesh is nutty, creamy smooth and stringless when baked, steamed or microwaved. An improved Ambercup type. 95 days. 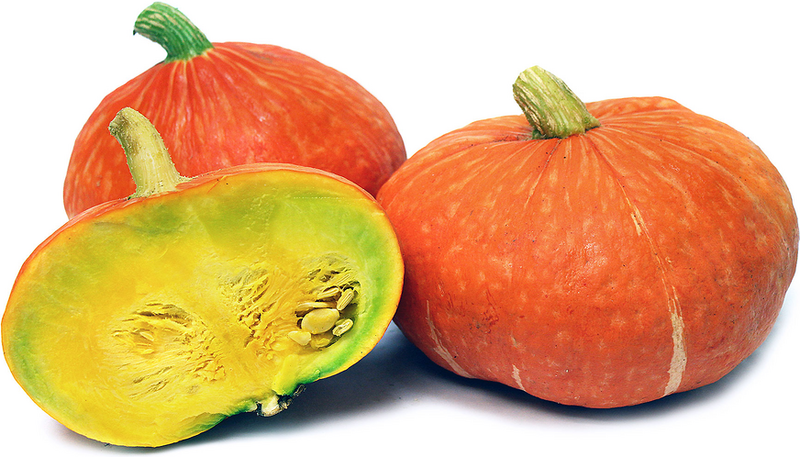 Sunshine kabocha was developed by Rob Johnston a founder and breeder at Johnny's Selected Seeds. 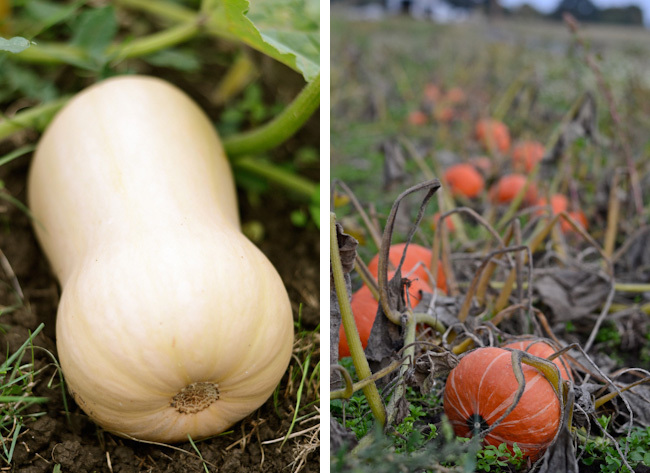 The Sunshine kabocha was developed over the span of nearly twenty years and first released to the commercial marketplace in 2004. In the 1970�s Johnston started by crossing two orange kabochas, the red kuri and golden nugget, which yielded a vibrant red bush type plant. 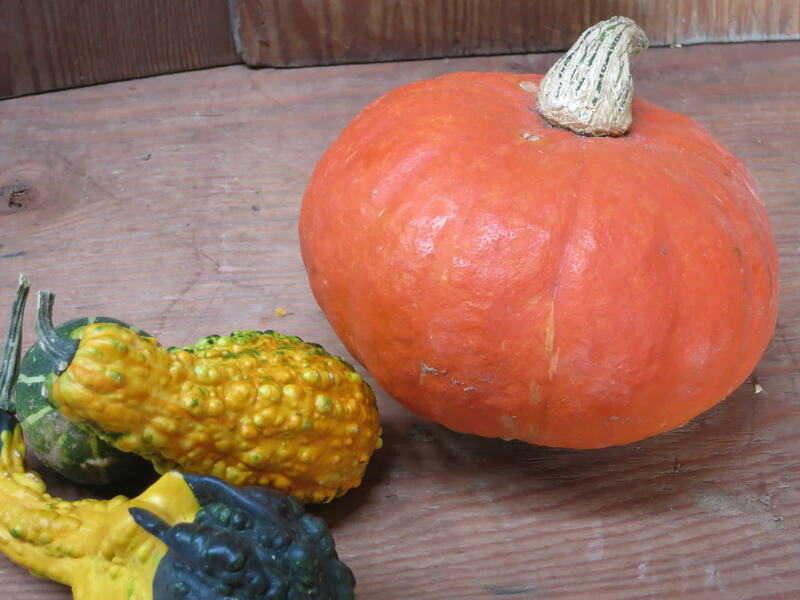 Later in the 1980�s Johnston crossed the most desirable offspring of his 1970�s orange kabocha work with a green kabocha known as home delight that was known to have a desirable sweet and dry flesh. 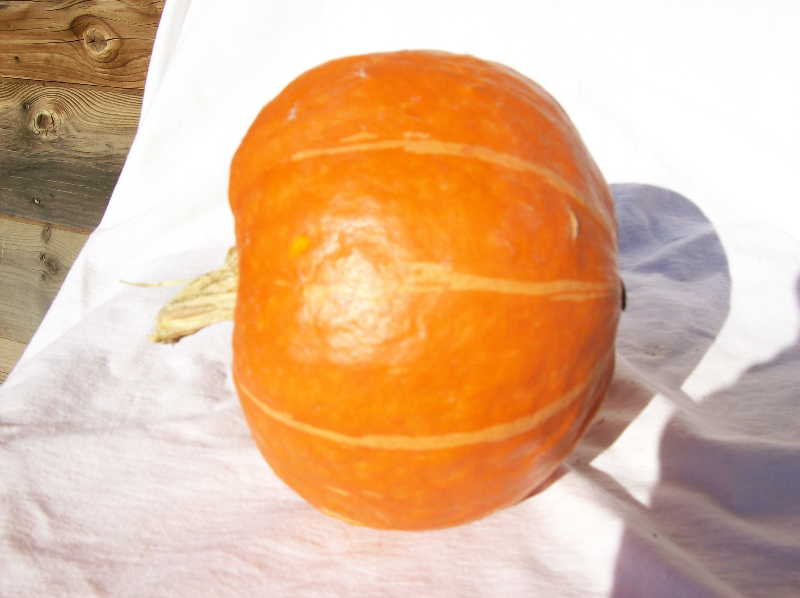 After two decades of hand pollinated crossing the Sunshine kabocha was the result. 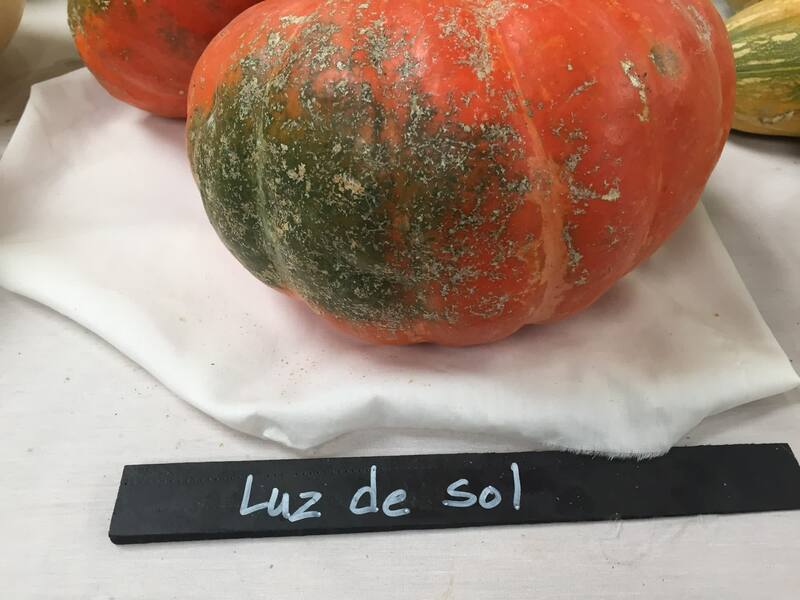 Might also be related to a variety known as "Sunlight", or Luz de Sol in Spanish. 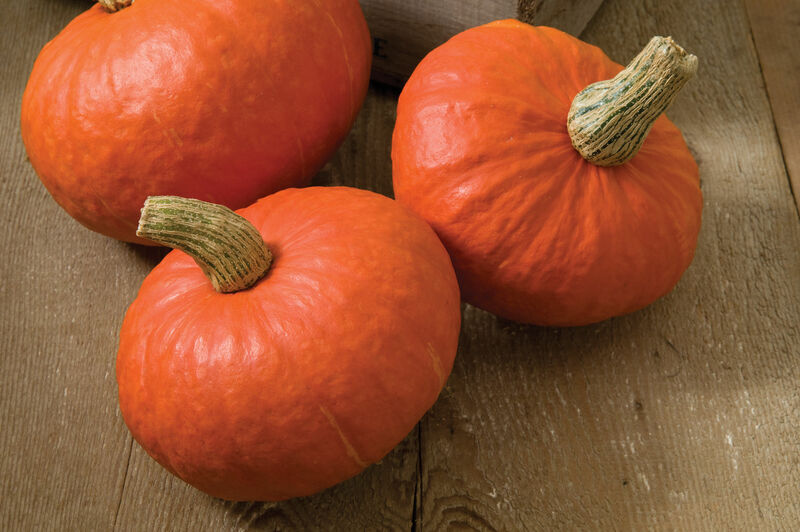 The perfect size personal buttercup squash measuring 4" by 6" and weighing 1 to 1-1/2 pounds. 75 days.